The Customize Windows > Computer and Internet > Cloud Computing > How to Create an Android App and Host It on Cloud? We do have old easy lucid guide to create Android App. There are many guides, videos on whole internet for helping the newbie. Android not really Free/Libre Software (often many erroneously refer free software as ‘open source’) but has too many propietary matters. So the way of development with Android Studio will be like Microsoft or Google’s many proprietary stuffs with API. Android Studio will not take more than 1-2 days for a begginer to get used. There are Third Party Tools to create Android App, like we discussed in an older article about App Inventor. As Android tries to deceive as Free/Libre Software, many features are like Free/Libre Software. It is possible to edit an Android App. Editing means, editing the compiled APK file. That way is also good for personal usage of some applications with lot of junks. I guess, many will find editing a good foundation base. How to Host an Android App on Cloud? IBM is an example, there are many similar services. There are many matters needed to think and learn before jumping to opt for such services. Although the topic How to Create an Android App And Host an Android App on Cloud appears to be for the newbies, the topic is not exactly easy now because of increasing complexity of the applications and increasing number of hardware features of the devices. In this article, we provided an overview of the total matters for creating just an Android Test Application to Machine Learning Powered Android Applications. In our other articles we discussed around Building Cognitive Applications with Data Science Experience. We hope that all together will provide an informative overview to get started. This Article Has Been Shared 6564 Times! Articles Related to How to Create an Android App and Host It on Cloud? 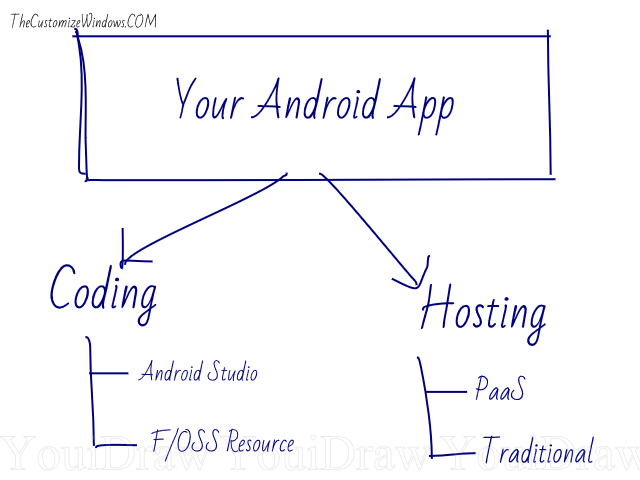 Title: How to Create an Android App and Host It on Cloud? Cite this article as: Abhishek Ghosh, "How to Create an Android App and Host It on Cloud?," in The Customize Windows, February 1, 2018, April 26, 2019, https://thecustomizewindows.com/2018/02/how-to-create-an-android-app-and-host-it-on-cloud/.